I don't know about you, Dear Reader, but if I were going to be completely honest, my organisational skills and methodology might be best described as chaotic and haphazard rather than meticulous and detailed. Hey! We all have our strengths and weaknesses, right? Anyway, in order to improve on certain areas, I've recently begun to use Evernote as a tool in the investigations process. In a nutshell, Evernote allows you to collate and organise notes. It also allows you to add emails, calendar entries, photographs, voice recordings, screenshots, web page grabs and the like, add them to 'notebooks', create various tags to put notes into easily searchable categories - and then sync all this information between your desktop and handheld devices. So, how can it be used in an investigations setting? Well here is how one investigations agency uses it, and here is another example of possible use. I'm still trialling how to use this effectively but so far the main emphasis as an aid to plan and guide investigations. While Evernote allows for audio and video to be added, the free version only allows for 60MB of data a month, so this isn't really all that viable. Also, I'm not really going to use my phone to record interviews as the .amr files are not as clear as those recorded on my standalone digital voice recorder, plus I'd have to convert them anyway so that the typist can transcribe them. The business edition give 2GB for business (and same again for personal) per user, starting at US$13/month so adding audio and video is less of an issue. I don't need that now, however, but may look at that in future. Evernote employs a 24x7 operations team with security backgrounds that maintains multiple levels of up-to-date firewall protection, intrusion detection, and access control audits. Industry standard SSL encryption is implemented in all client-to-server traffic, making use of dedicated SSL accelerators, and strict adherence to documented security practices is required of all third-party platform partners. Evernote is committed to protecting the security of your information and takes reasonable precautions to protect it. We use industry standard encryption to protect your data in transit. This is commonly referred to as transport layer security (“TLS”) or secure socket layer (“SSL”) technology. However, Internet data transmissions, cannot be guaranteed to be 100% secure, and as a result, we cannot ensure the security of information during its transmission between you and us; accordingly, you acknowledge that you do so at your own risk. Once we receive your data, we protect it on our servers using a combination of administrative, physical and logical security safeguards. The security of the information stored locally in the Evernote Software installed on your computing device is dependent upon you making use of the security features on your device. We recommend that you take the appropriate steps to secure all computing devices that you use with our applications and Service. The greater risk is of you losing your device. I have BlackBerry Protect enabled so that I can shut down my phone and remotely wipe it if necessary. I'm guessing other smartphones have similar options available. However, as an added level of security, Evernote also allows you to encrypt text within notes on-the-fly. Just select the relevant text, right-click, and select the 'encrypt the selected text'. You cannot encrypt whole notebooks though. Anyway, I'm still in my early days of using Evernote and am still figuring out ways to be able to do things better within an investigations context. 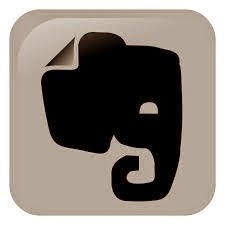 If you are using Evernote and have any tips, tricks, reservations or otherwise any useful info, please comment below as I'm sure this will be of interest to others, and not just myself. I've just upgraded my account to Premium (US$5.00/month) which provides some further functionality as well as increases the data cap to 1GB per month. What extra features do you get? I'm not too sure what else at this stage - all I really wanted to be able to do was easily add annotated pictures such as scene diagrams that I had created and this seemed to be the easiest way. Also, the extra data is welcome. Mr. P. Eye, there is a large group of Evernote users who solely use tags and not Notebooks. Just tag your entries with your case number and move on. No redundancy. Search for the tag and you have everything at your fingertips. Thanks for the tip, NR. I can see how this would work but it doesn't address my psychological need to see things put into nice little piles. I agree with NeadReport. Use tags instead because the limit is 100,000. Using notebooks there is a limit of 250. Great Post. Keep up the good work. Yes, I understand the limitation to the number of notebooks but I should probably have stated that I do not intend to use Evernote for any long-term storage of case notes, rather just current investigations. Once concluded, and the report written up, I intend to delete all content from Evernote pertaining to that investigation.